4th of July, Memorial Day, and Labor Day have all turned into some fashionable holidays since people are all about their 'Merican pride! 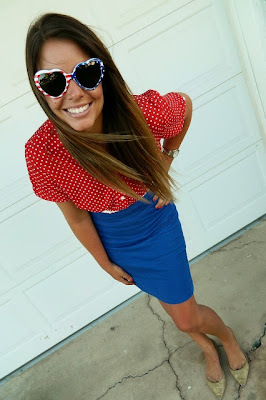 So... to help you out this week, I found some of my favorite outfit inspirations for every occasion! 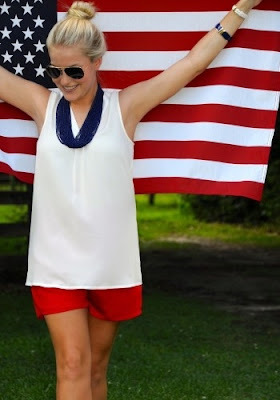 This is one of those outfits that could be worn anywhere. You have the blazer to impress people, and everything else is fun for when the drinks are kicking in. 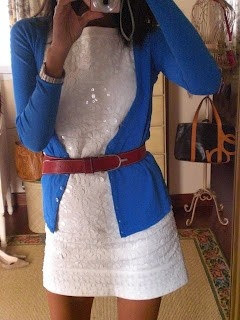 Sequins or not, a white dress with a cardigan for when it's cooler at night and of course the red belt, shoes, and other accessories: Win. How comfy is this for a BBQ?! It probably feels like pajamas, and everything is simple, but it totally works. I'm lovin' the simple hair with it too. 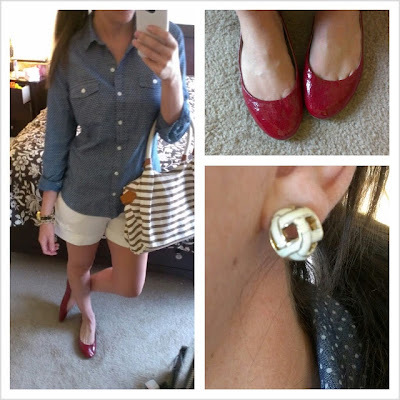 Chambray shirts could be your best friend for these holidays. Wear em with or over anything for that blue touch. 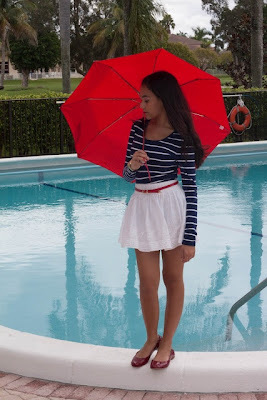 Flowy white skirts: Perfect for poolside, grill-side, beach-side, whatever-side hangouts! Remember this from What Ya Wearin' Wednesday? Whether you have blue polka-dotted pants, shorts, skirt, dress, whatever... pairing them with a red blazer is a fantastic idea. 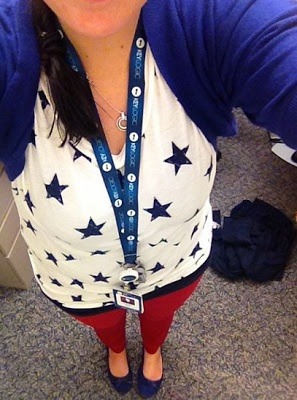 Also seen on WYWW: How can you go wrong with red pants and a starry shirt?! 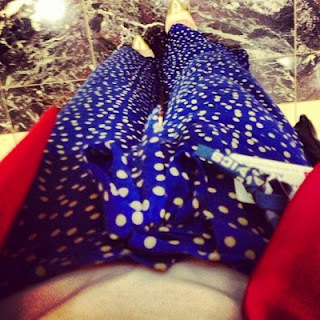 This is so comfy, but totally classy! Everything flowy, and the red belt is peeking through for some fun. Also an idea for a chambray shirt that may be one of my favorites: Pairing it with a red or white bodycon dress! Easy, simple, great: Red shorts/pants and a blue striped shirt. How cute is this?! They're all rather unique pieces, but if you can find em, you gotta wear em! 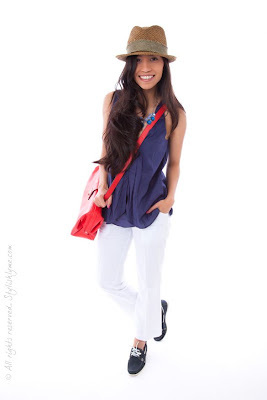 Another easy solution to coming up with some blue in your outfit: A jean jacket or vest! This is perfect for a day out on the town, party hopping, whatever! 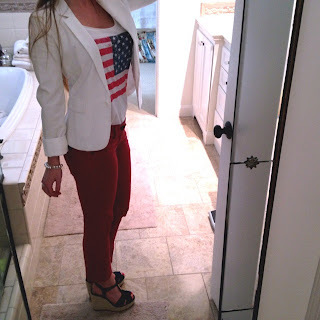 White pants or shorts with a blue top and fedora... then add some hints of red with accessories! 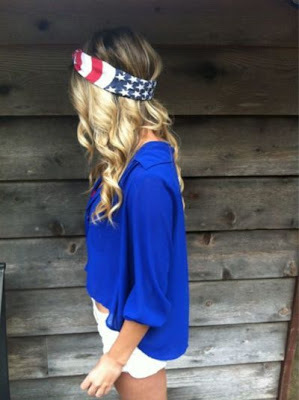 You can find 'Merican bandanas anywhere right now, and they're so fun to wear in your hair! 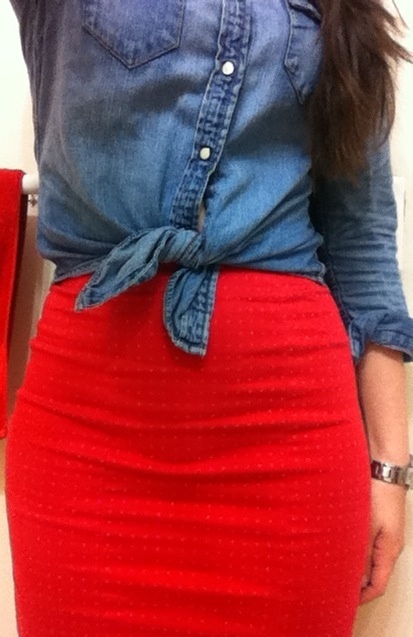 I was also thinking the combination of polka dot jeans and a red striped shirt would be really cute and easy. Hopefully this will help! 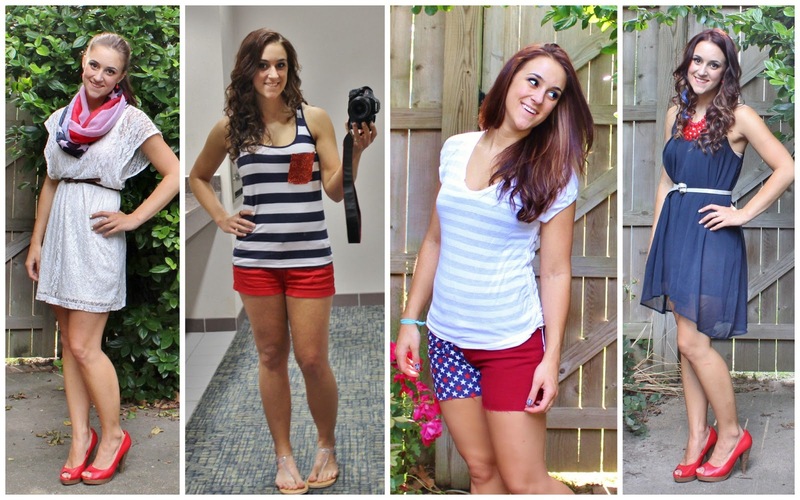 So many options, you're bound to be able to create one of them with what you already have in your closet! Also, I wanna do an extra post for #WhatYaWearin4th on Thursday.. so if you get a chance, take a picture and send it to me by Friday afternoon! I love holiday themed WYWW! PS: All pictures posted with links from Pinterest. If I used your picture with the wrong attribution, please let me know so I can fix it. PPS: If you wanna post them all on Pinterest in one image, here ya go!